Let's start puzzle time! 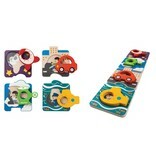 This colorful puzzle come with a vehicle theme, including spacecraft, helicopter, car, and submarine. 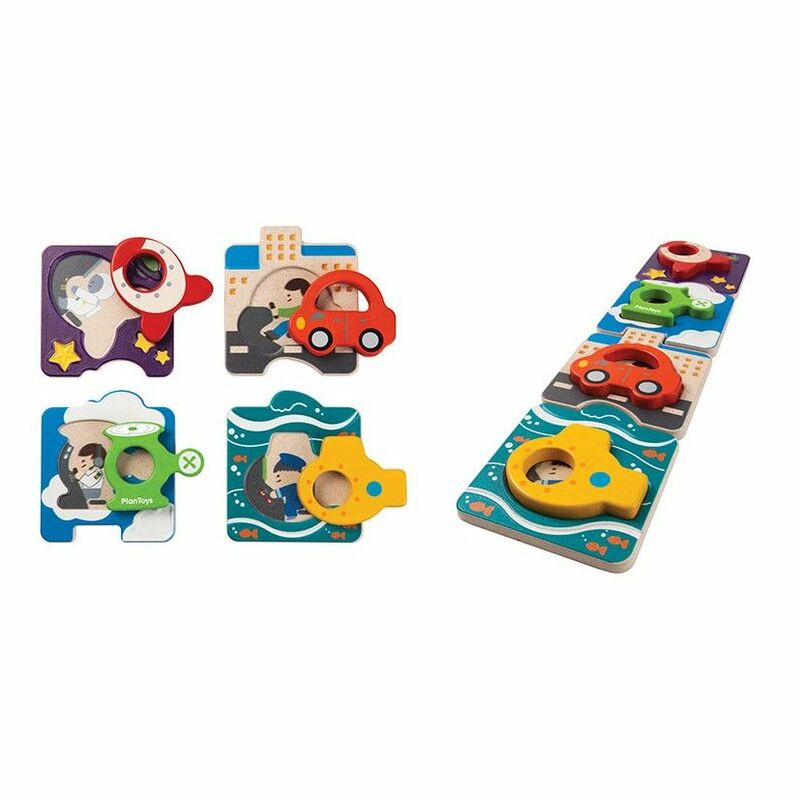 They fit neatly into their spots and is perfect for pretend play. Suitable for children 12 months and up.